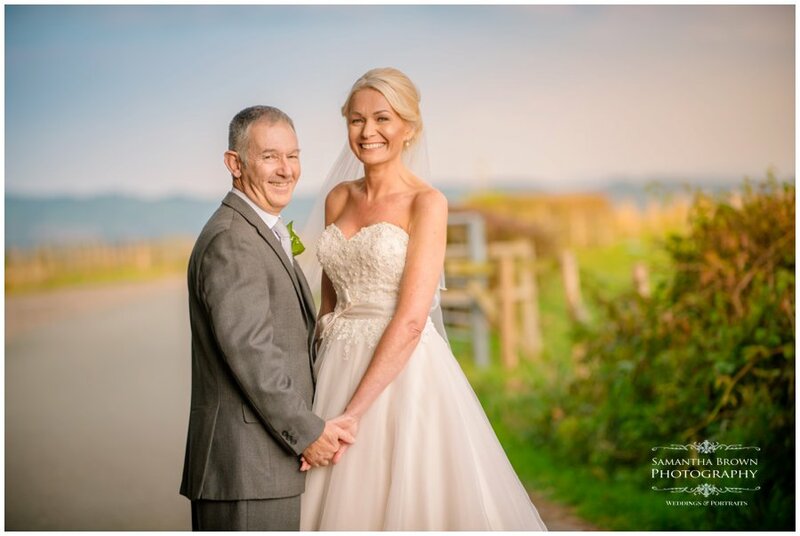 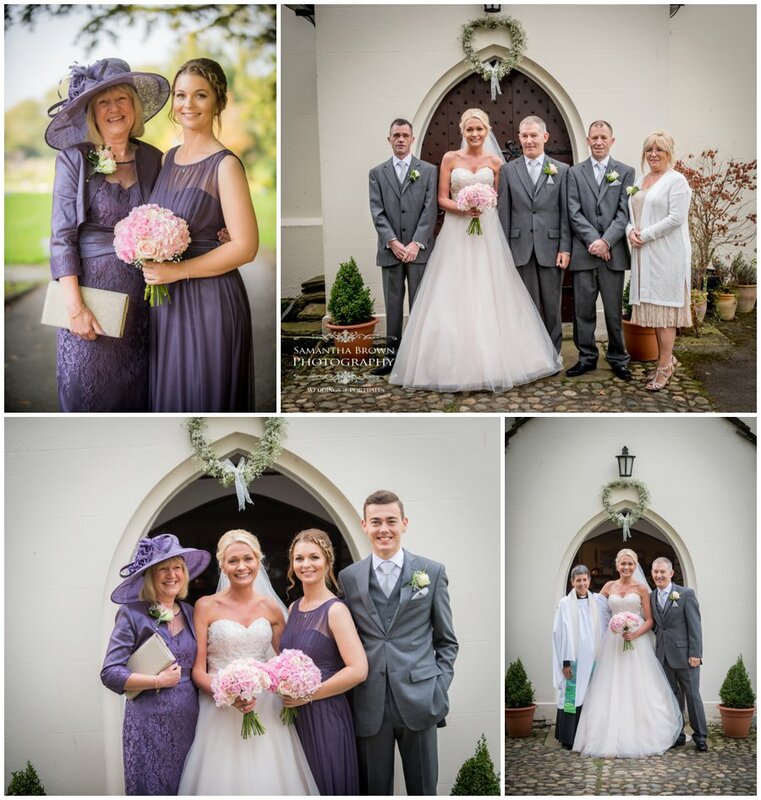 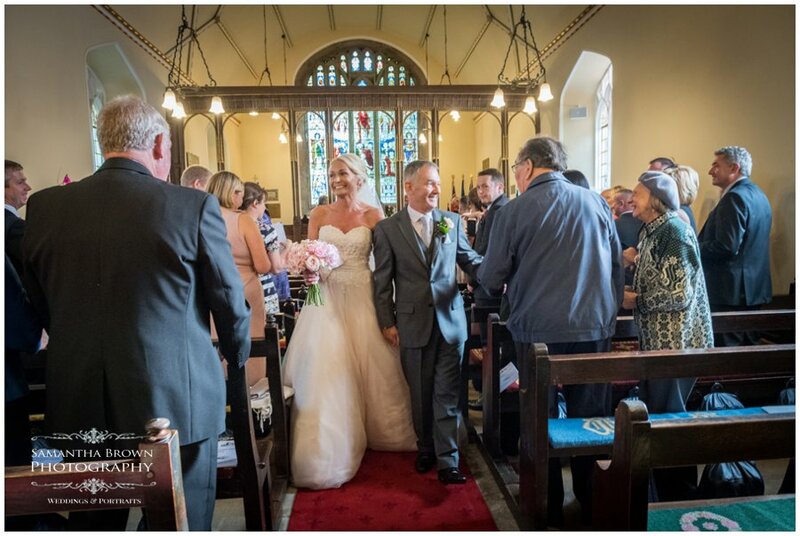 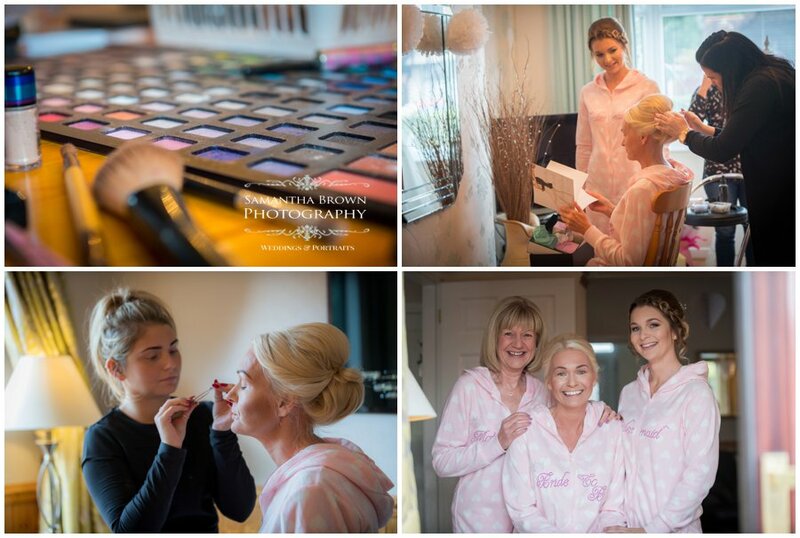 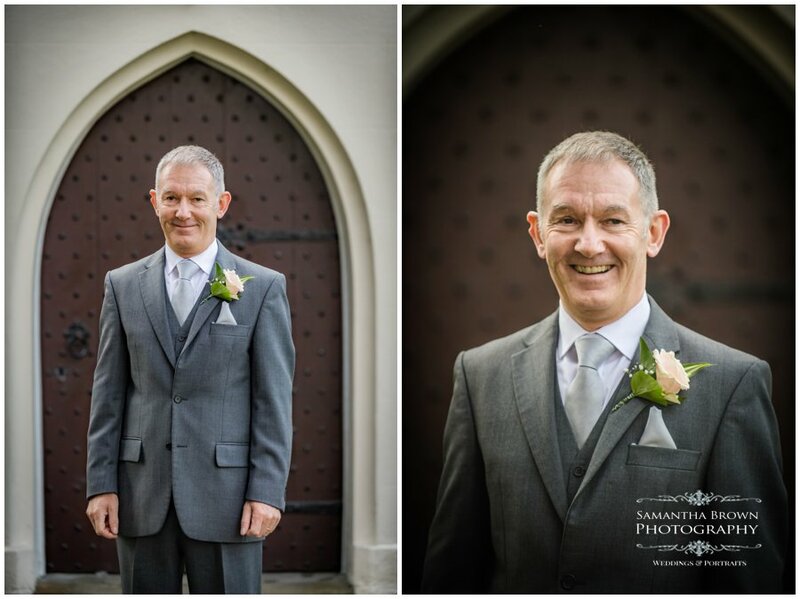 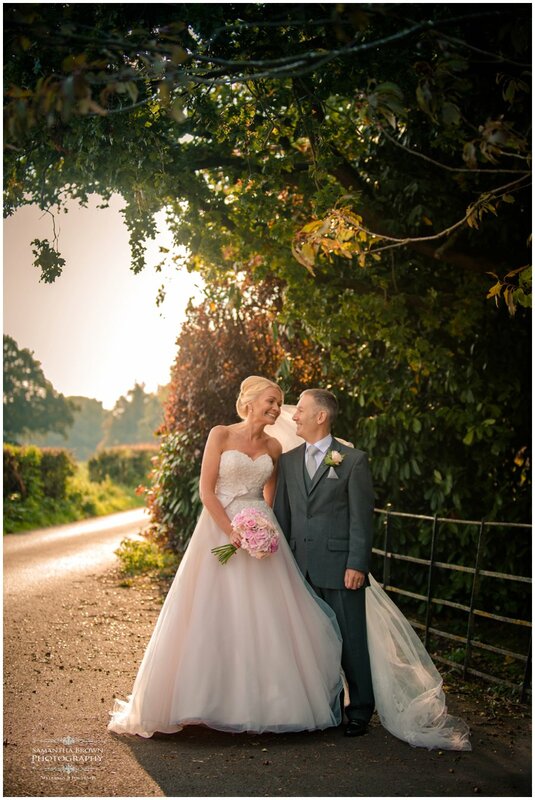 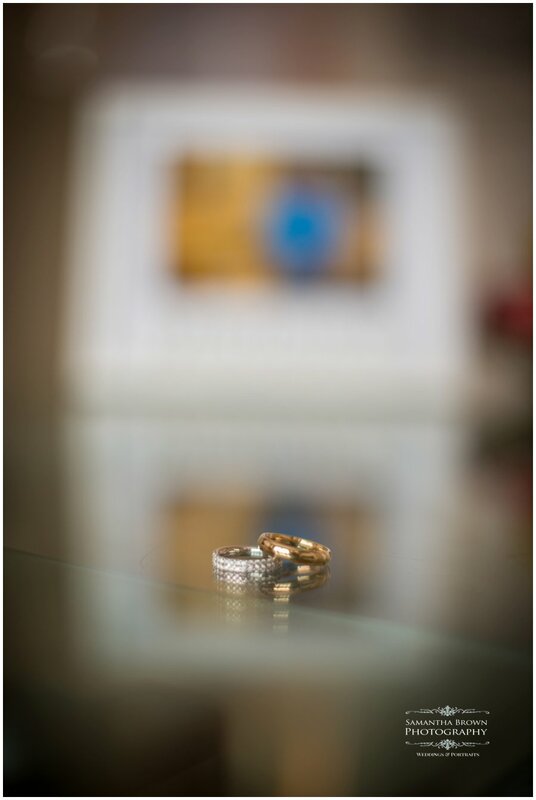 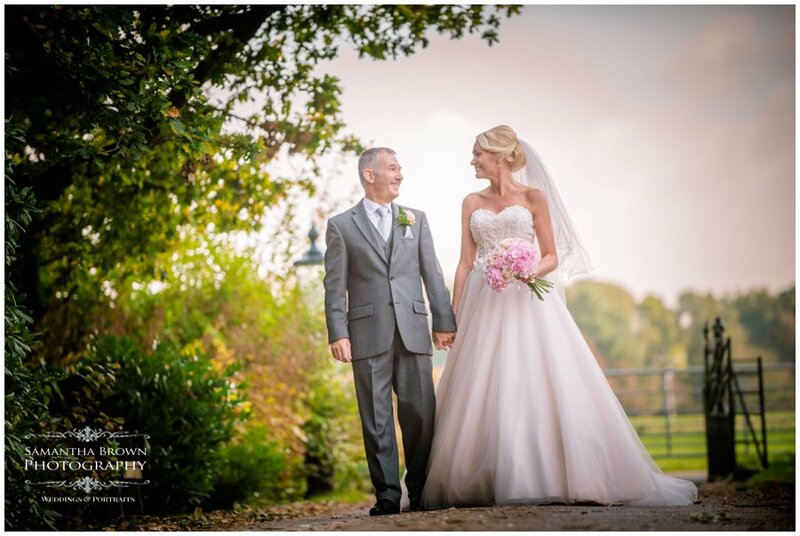 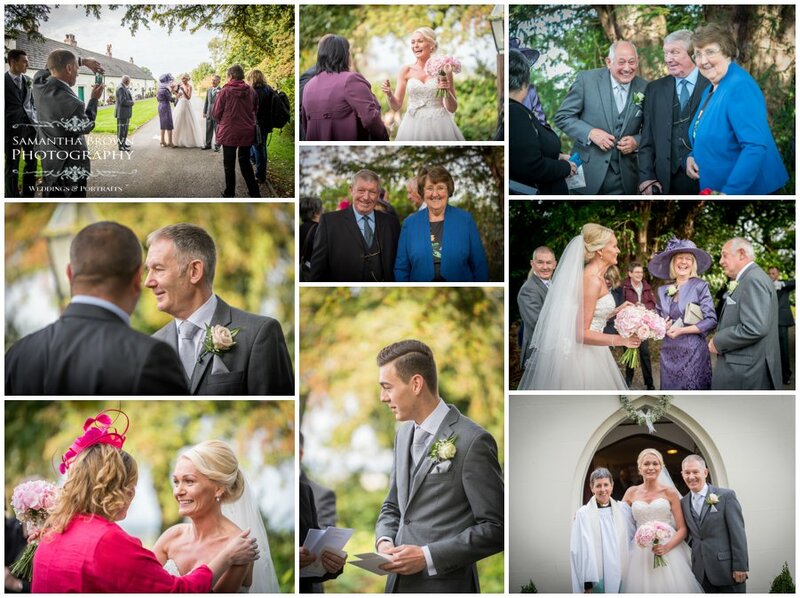 Sharon & Kevin’s Lathom Chapel Wedding took place on the 14th of October 2016. 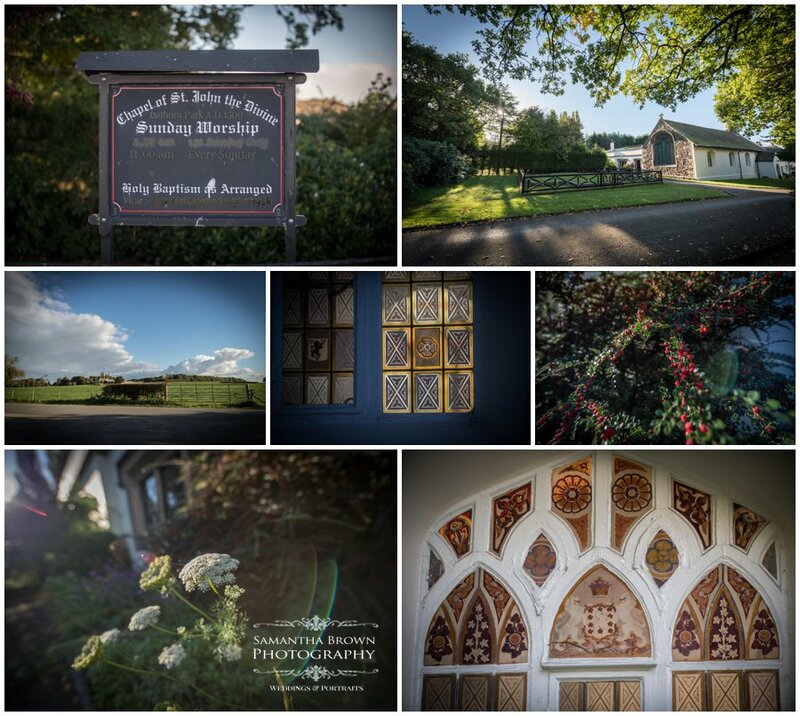 It was a beautiful crisp autumn morning and the Chapel of St John the Divine founded by the Earl of Derby in 1500, looked very picturesque. 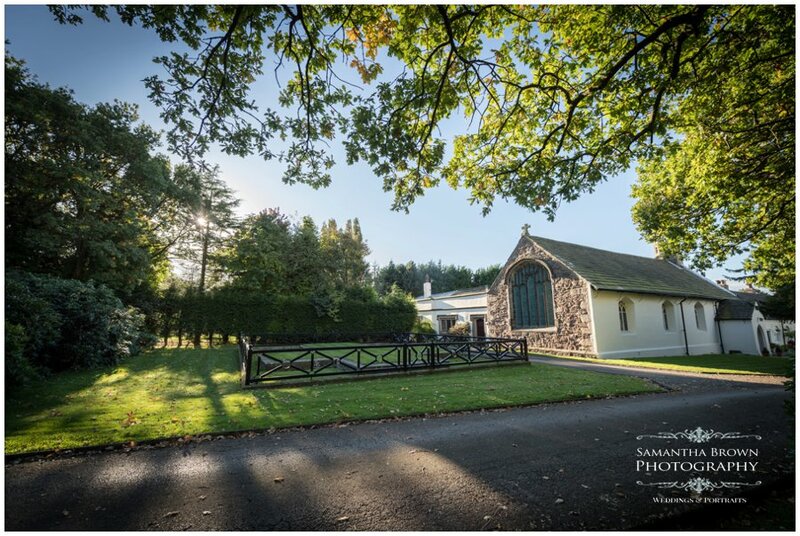 The chapel Stands within Lathom Park 3 miles from Ormskirk a small beautiful building, with Almshouses adjoining north side. 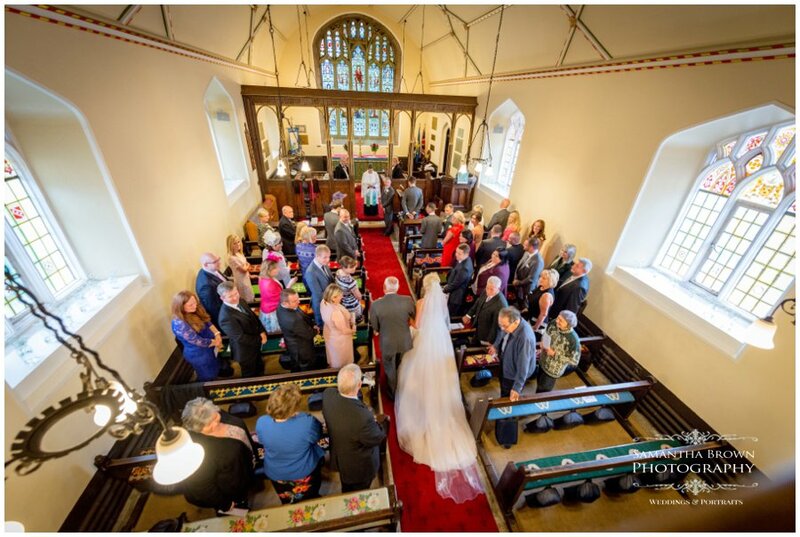 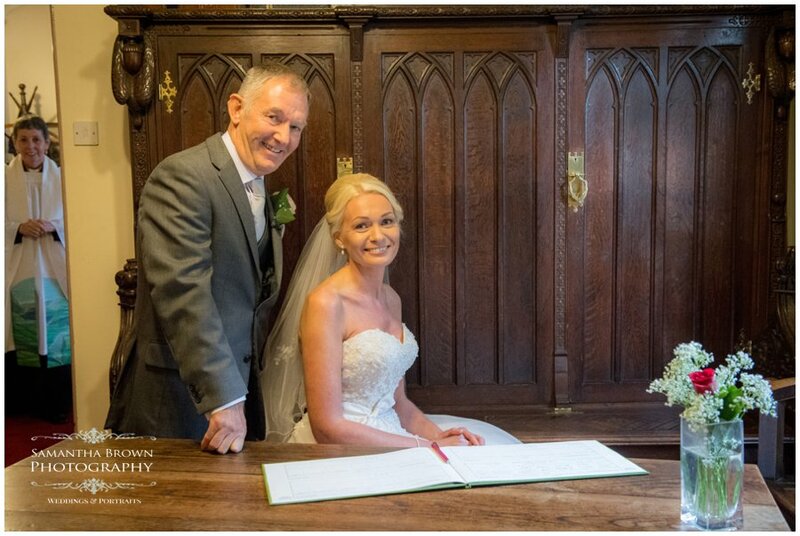 It was the first time I had photographed a wedding at this chapel and I had been over the weekend before with my daughter to have a look around and to take some photographs. 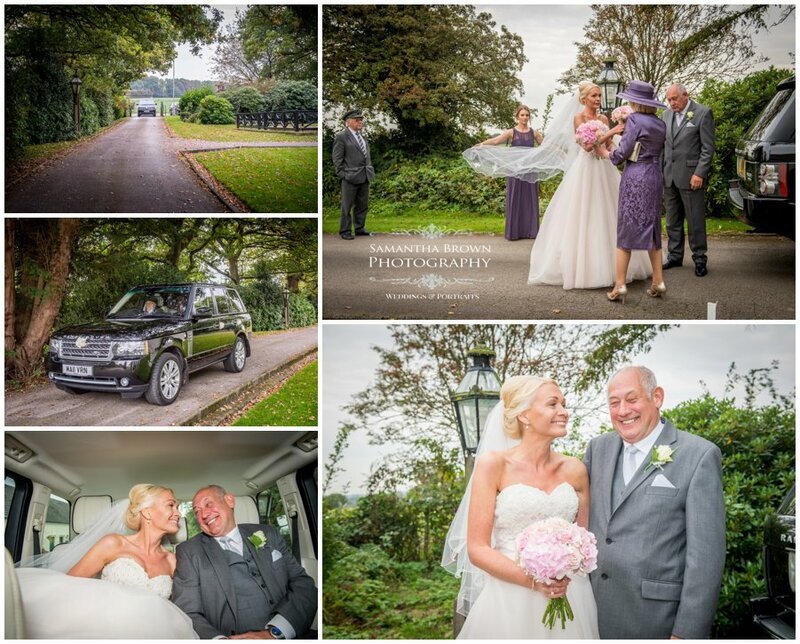 Its a very lovely area with plenty of photographic opportunities. 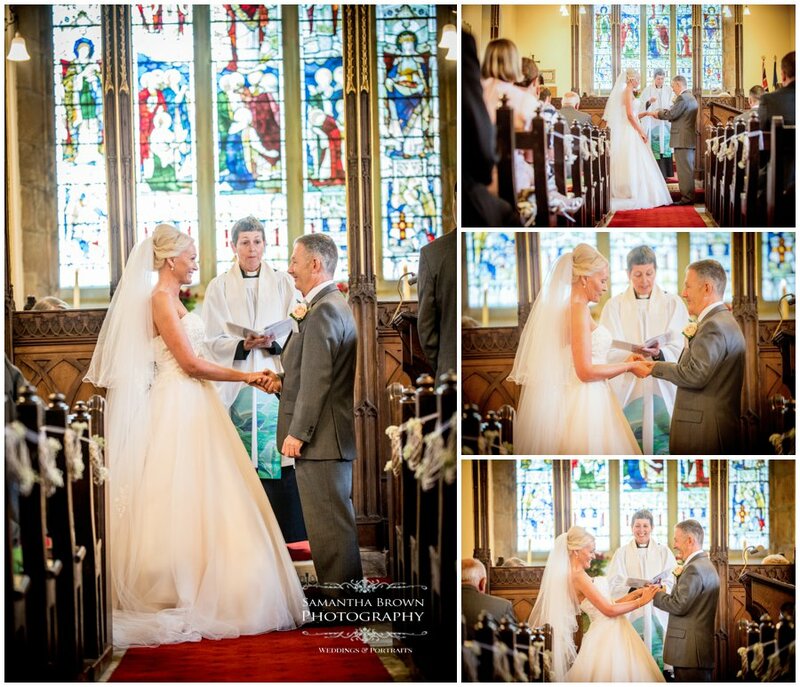 The perfect choice for a wedding! 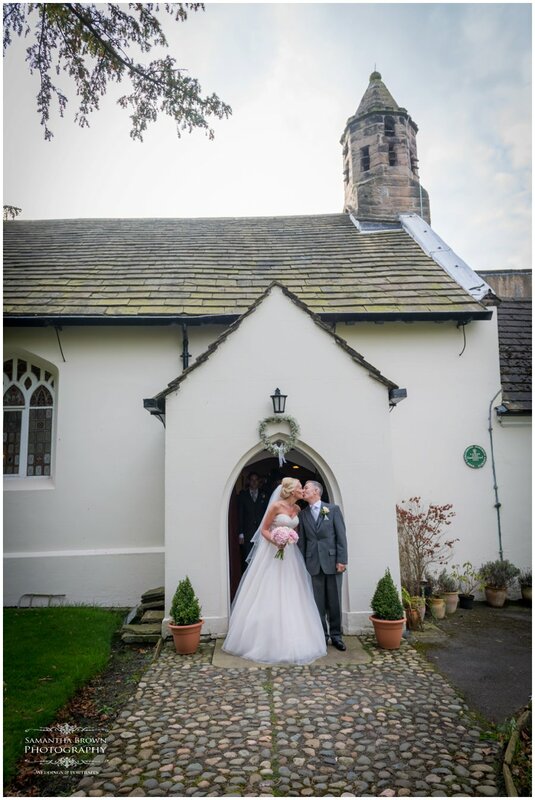 When Kevin first contacted me he told me he was a very keen landscape photographer and how much the chapel and its grounds meant to him and Sharon. 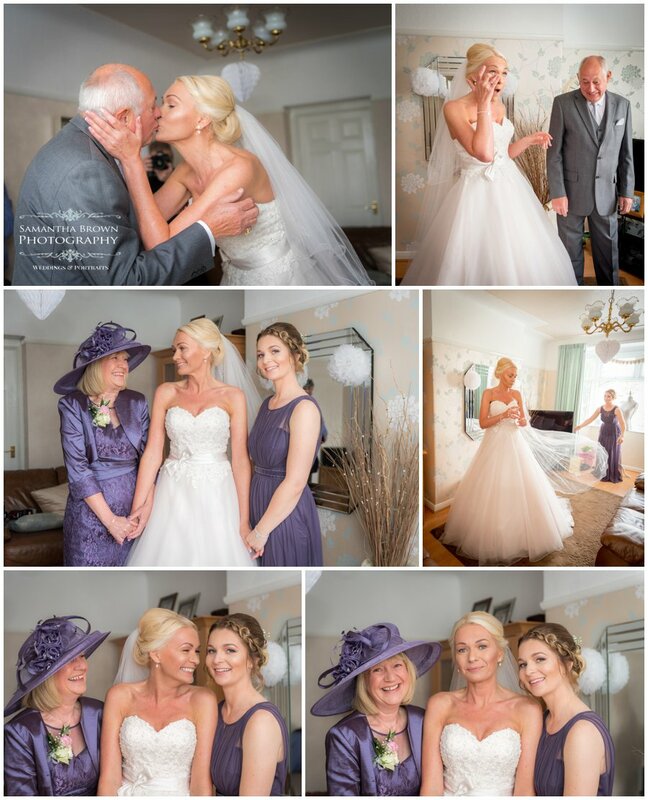 the bridesmaids were absolutely lovely in deep purple dresses. 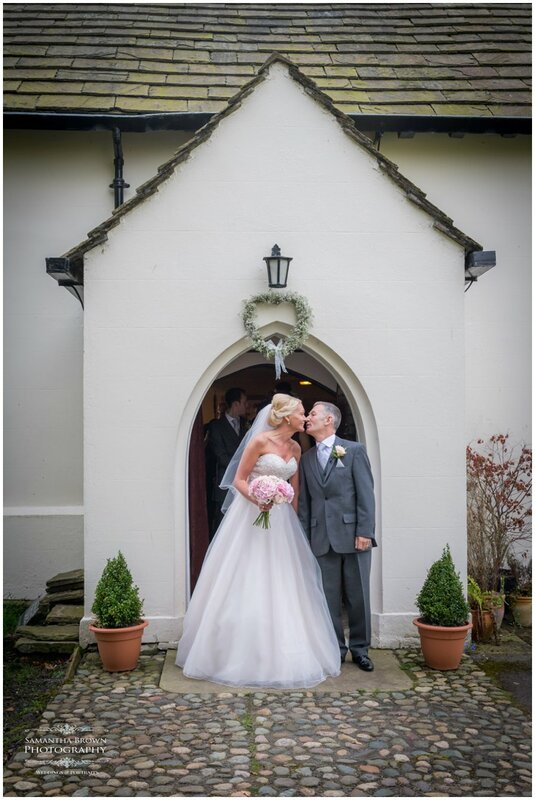 The flowers for the bouquet were gorgeous soft pink hydrangeas and roses. 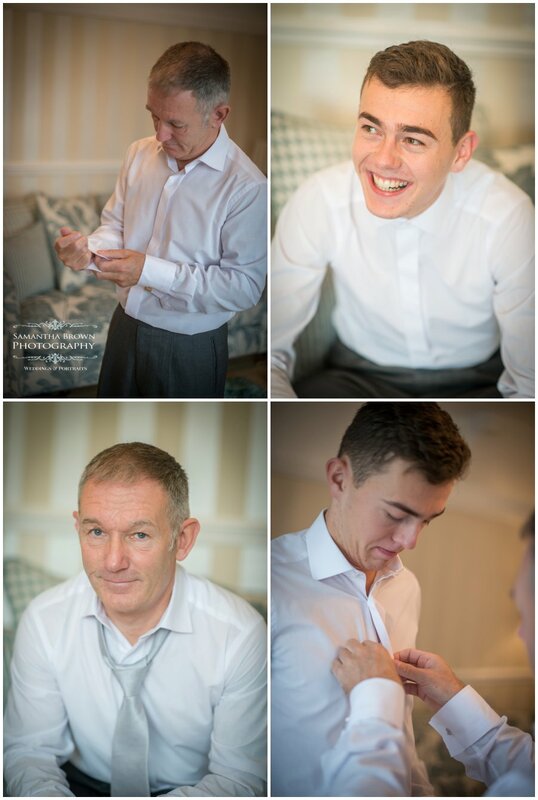 Neil had gone over to Kevin’s in the morning to capture Kevin and the boys getting ready. 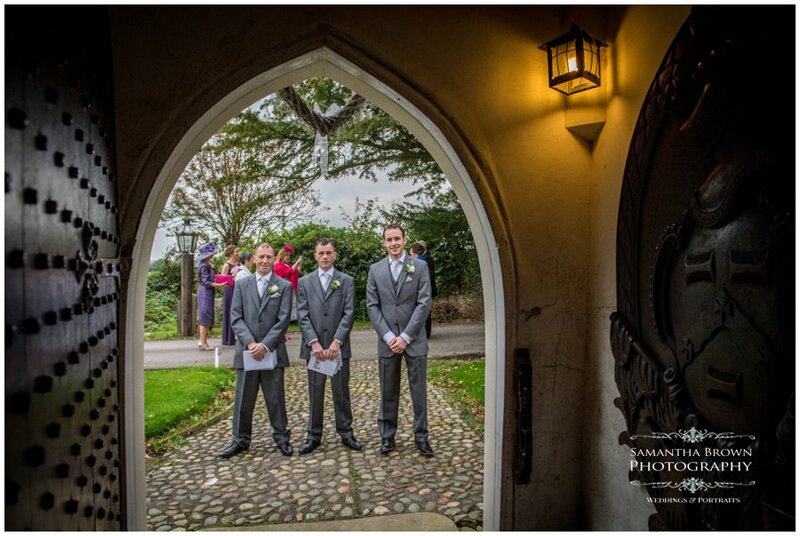 Kevin and the boys, all looked very dapper indeed with their very stylish grey suits. 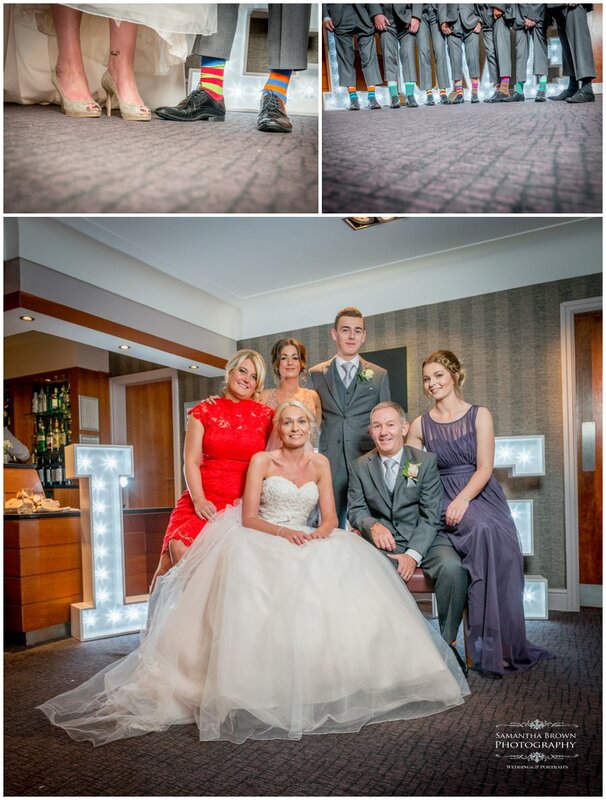 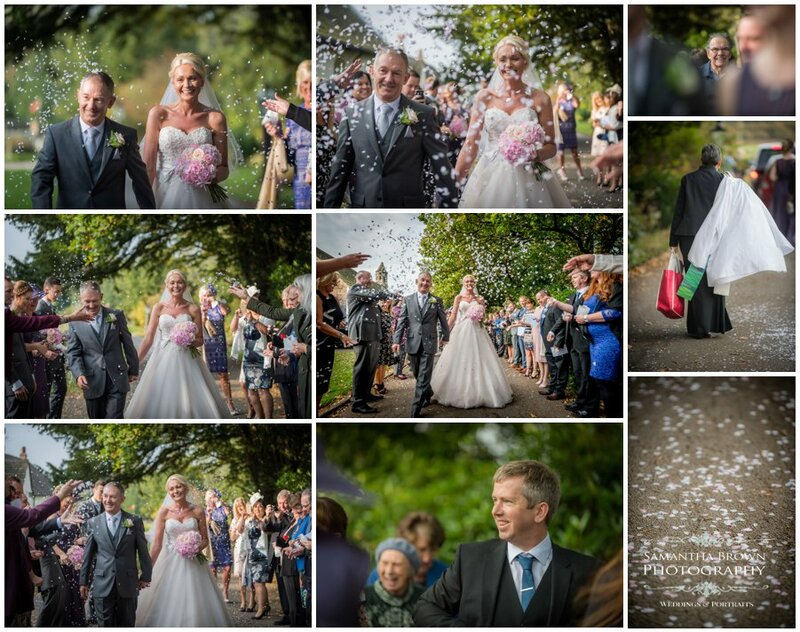 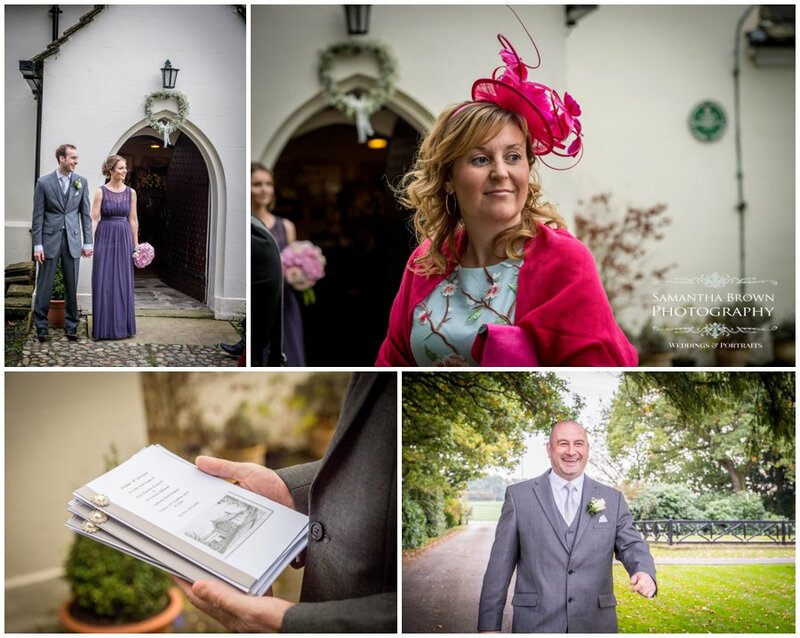 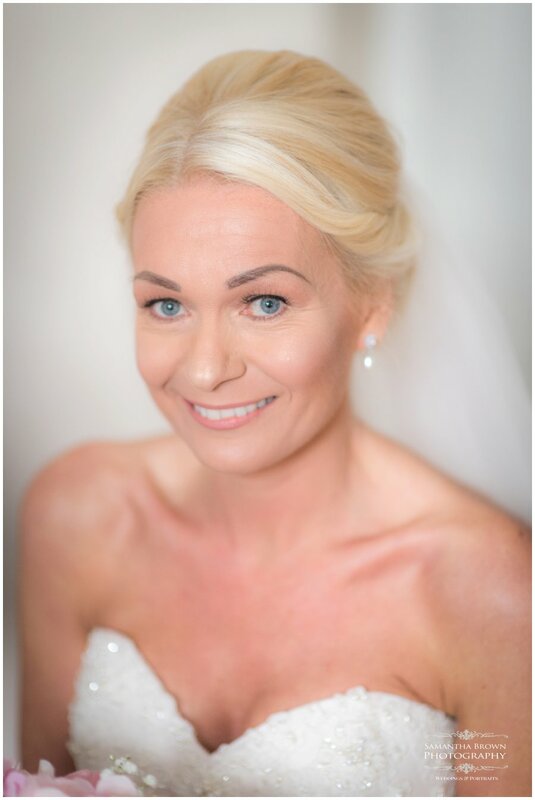 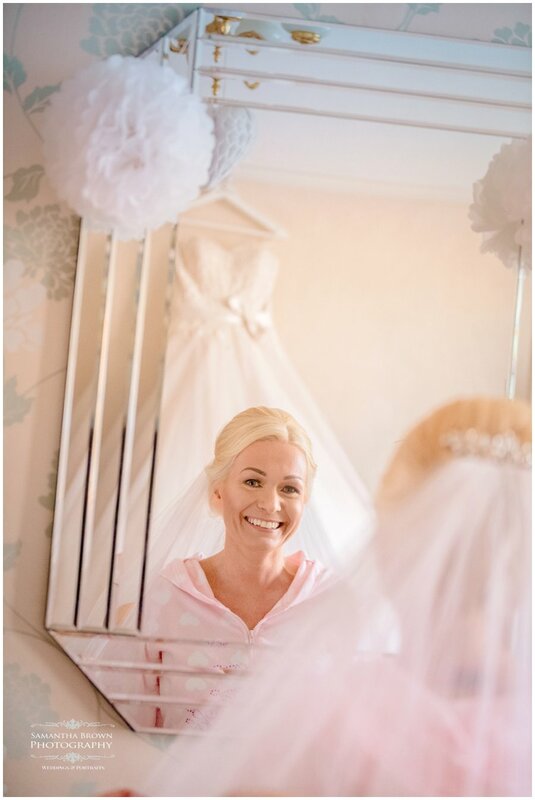 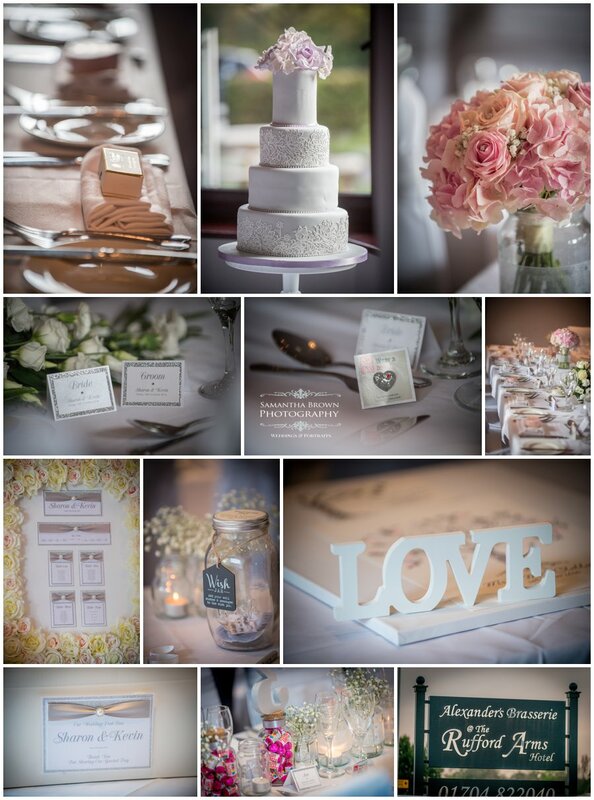 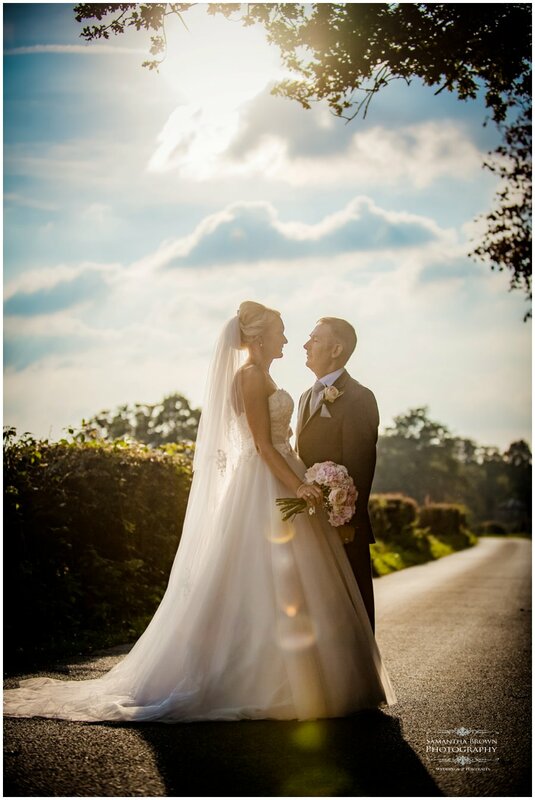 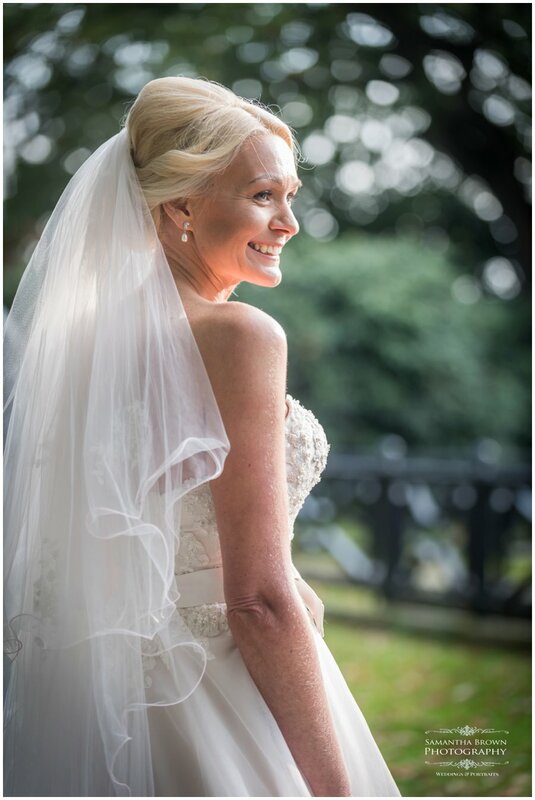 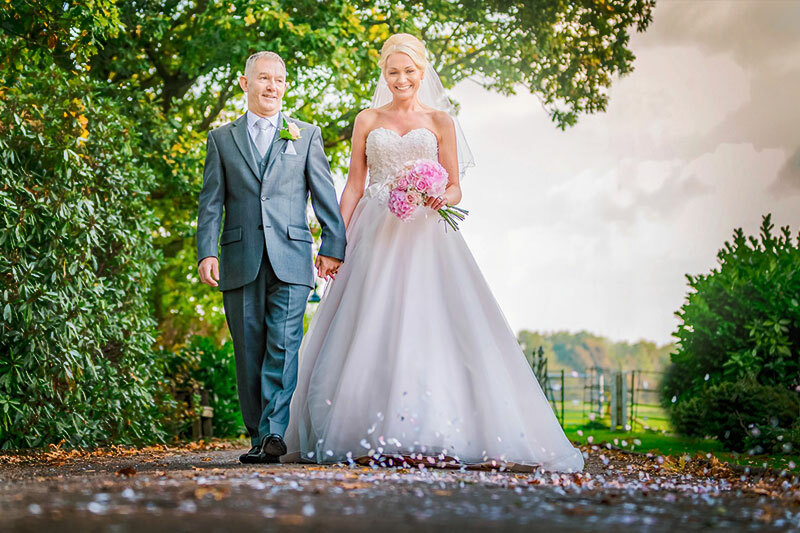 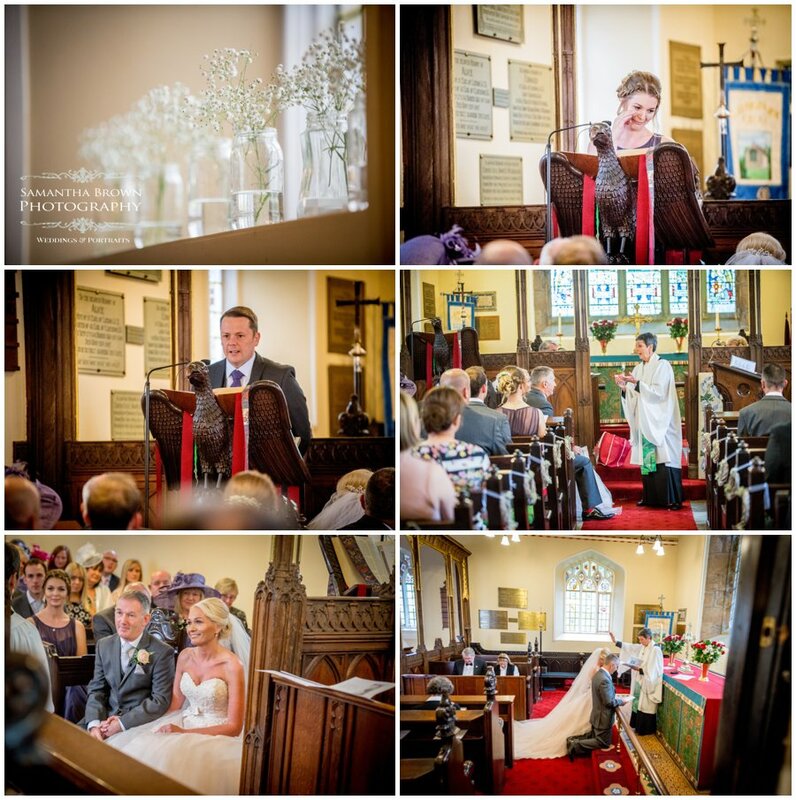 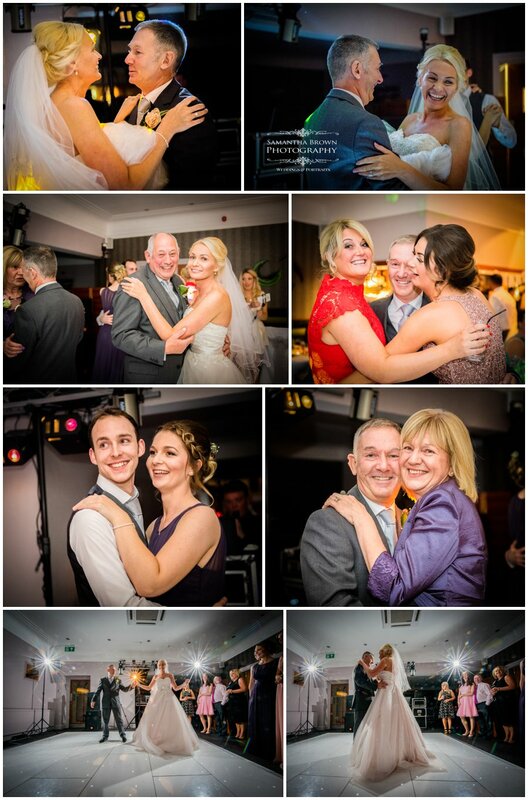 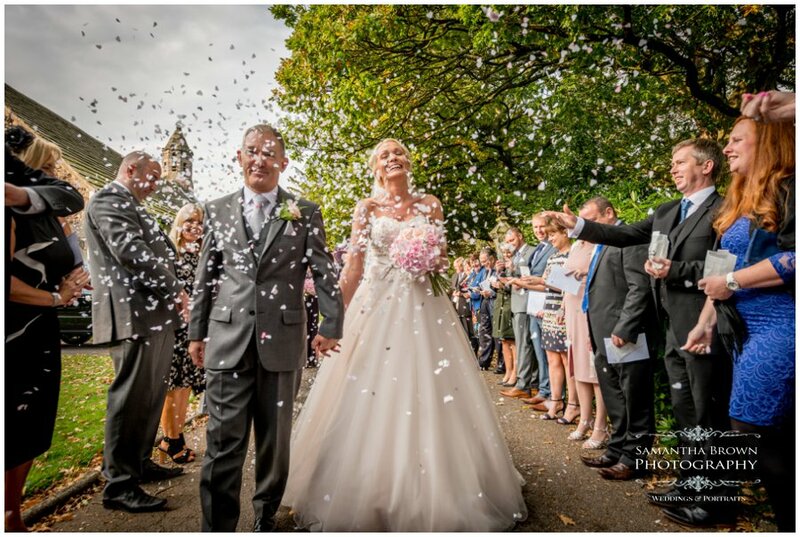 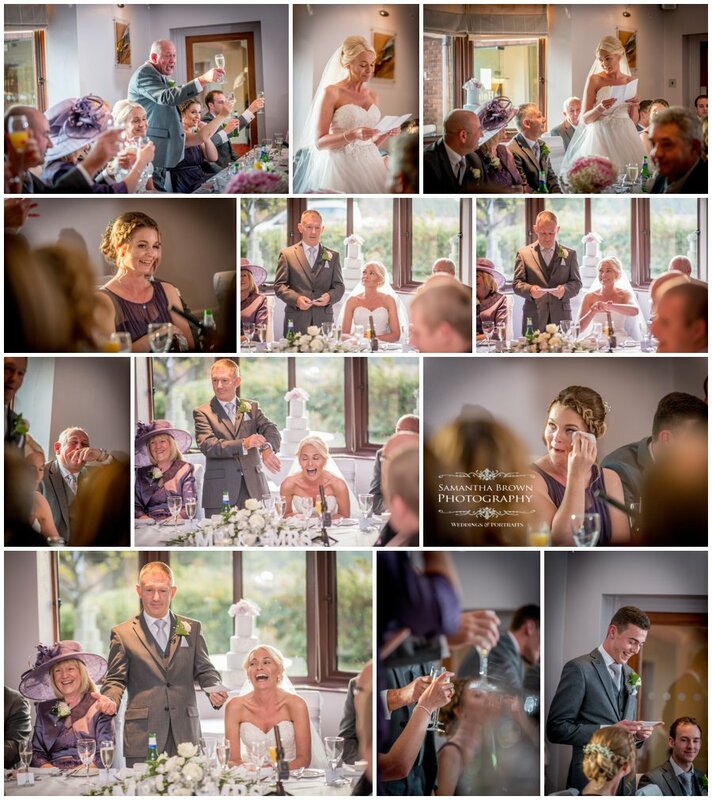 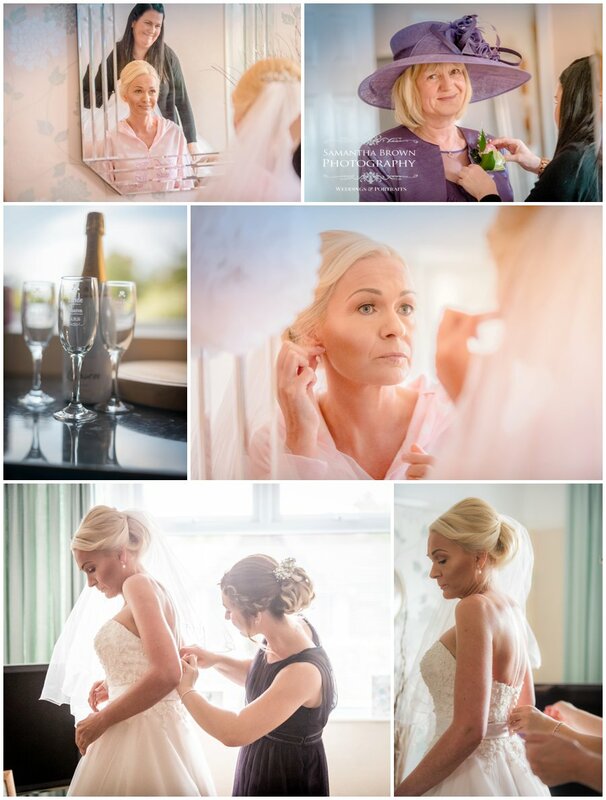 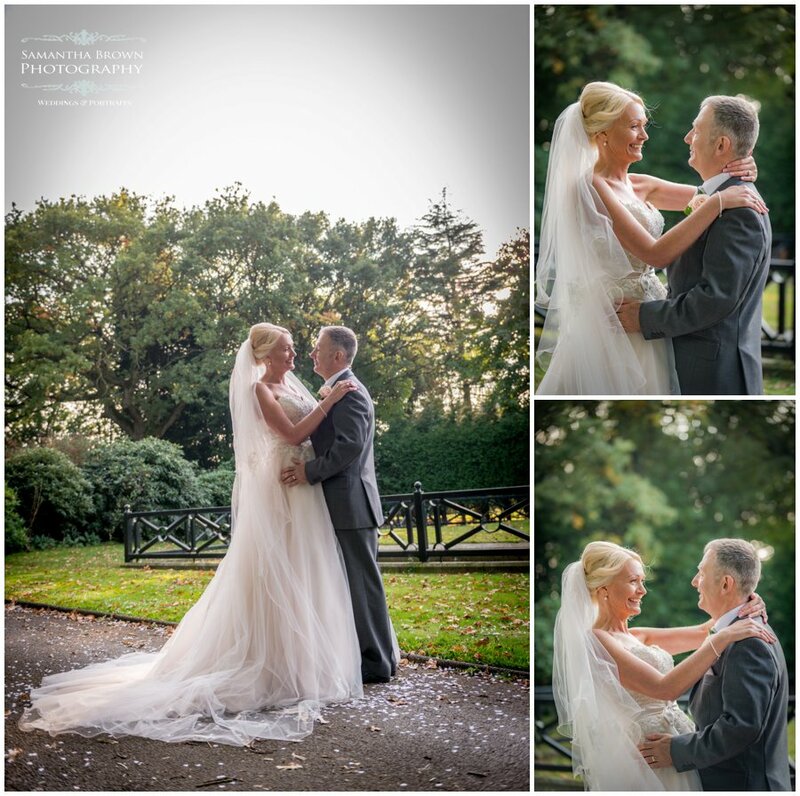 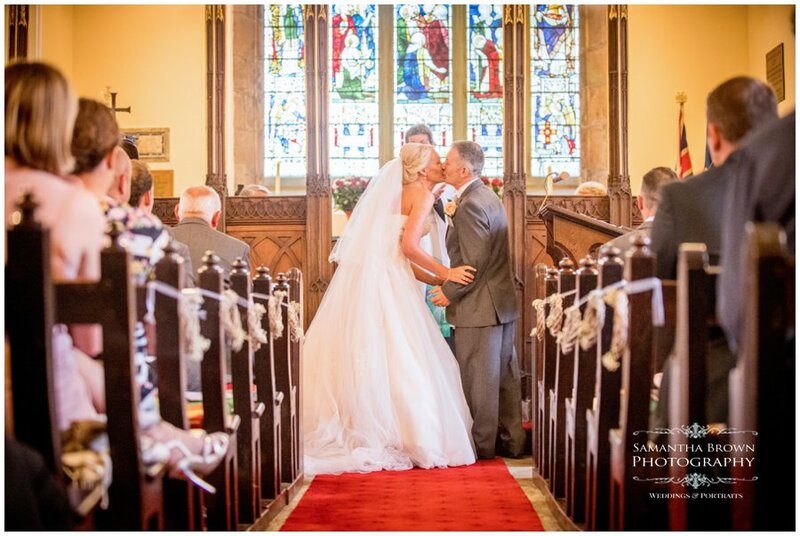 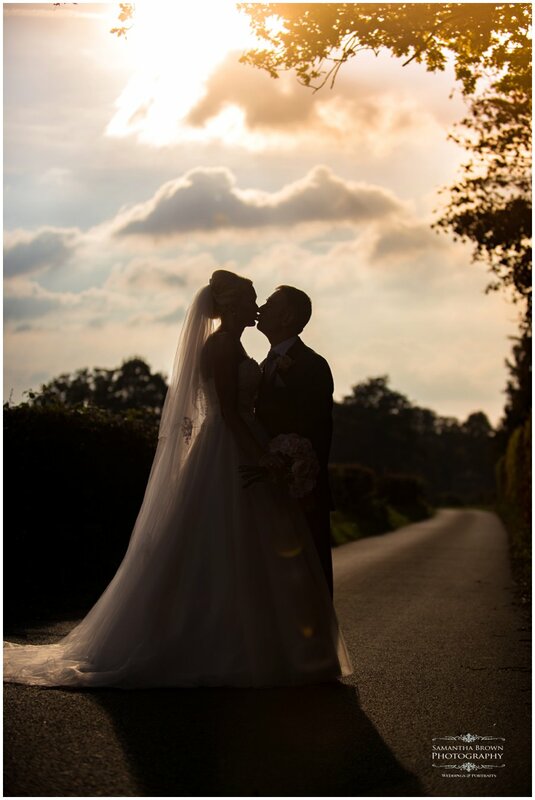 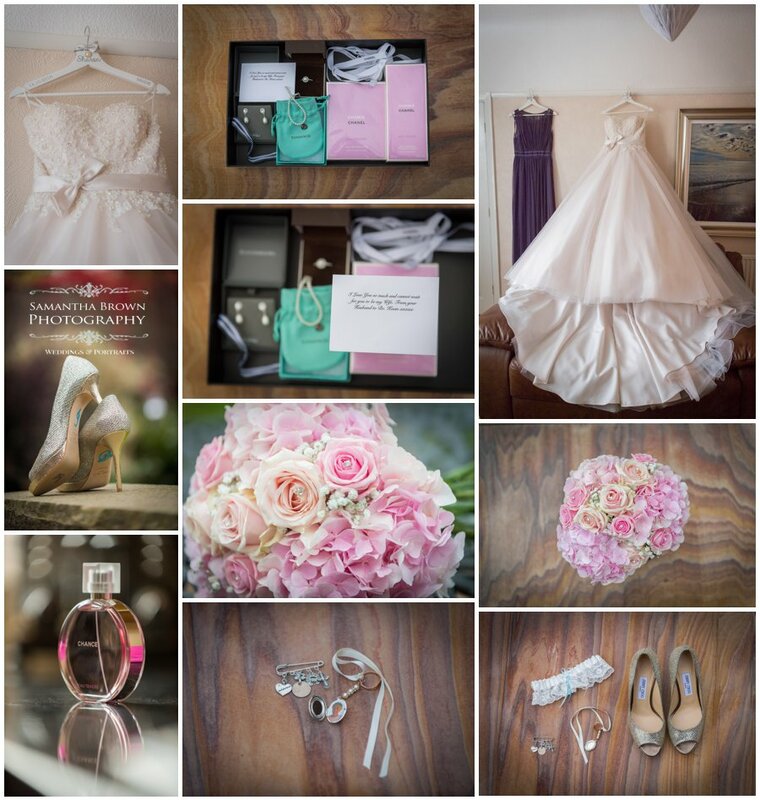 The ceremony was very beautiful followed by a lovely reception in the Rufford Arms Hotel. 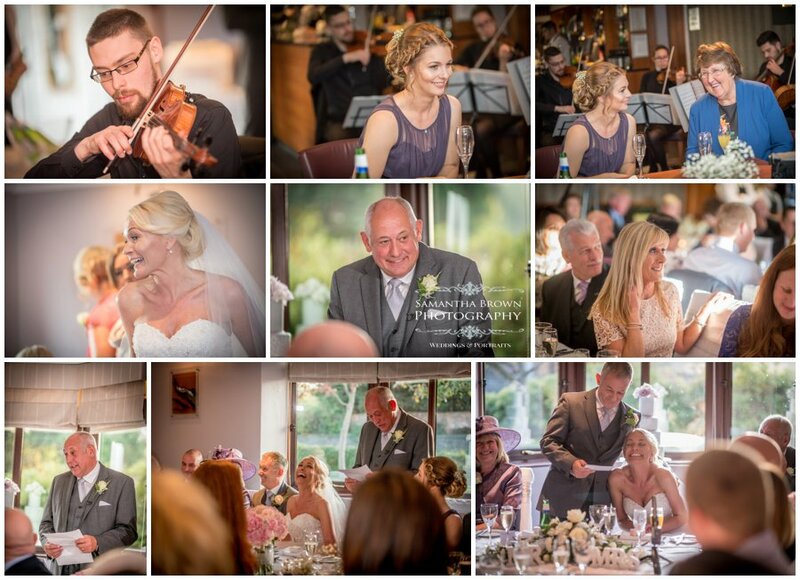 Neil & I wish Sharon and Kevin every happiness in their marriage.